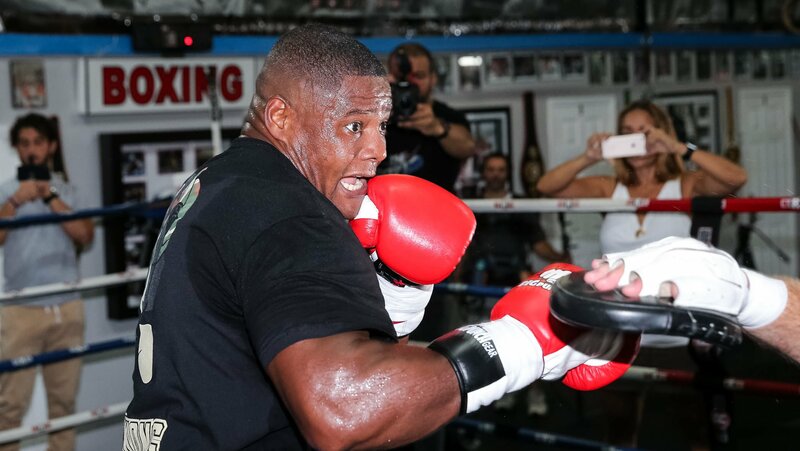 In March, Luis Ortiz was nearly WBC world heavyweight champion, now the hard hitting Cuban Southpaw is fighting back into contention. The next step for Ortiz will be fighting on the undercard of Deontay Wilder and Tyson Fury’s WBC title fight on December 1st against Travis Kauffman. When asked at a media workout this week in Miami, Ortiz says he’s excited to return. “I’m 100 percent ready for this fight,” Ortiz told reporters on Thursday. “We never stopped working after my last fight and I’m going to show it on December 1. I love staying active. I just want to keep fighting and showing off my skills. “I’ve only taken off about a month total since fighting Wilder in March, so I still feel sharp and like my training is just continuous. The training stays the same, and once we get the opponent locked in we can focus on a game plan. “Travis Kauffman is a strong fighter who came up fighting in Philadelphia,” the Florida based southpaw said during his workout. “I know that’s he’s a tough guy who’s going to come to fight and I’m going to be prepared it. “I think that my performance against Wilder and since that fight have warranted a rematch. I had Wilder hurt, I just made mental mistakes during the fight. I was fatigued, but I did not get knocked out flat. The referee did his job, but I feel that I did enough to merit another shot. I’ve worked hard to correct the mistakes I made and in a rematch, it would be a different ending. Asked to give a prediction on the main event of the Showtime Pay-Per-View, Ortiz looked towards his former opponent.